I was born in 1985 in Hesse. My interest for language brought me to North Rhine-Westphalia, where I studied literary translation as well as anglistics and German philology and subsequently worked as a tanslator and teacher. During my career as a teacher and advisor on various projects, knowledge transfer was mostly the first priority. But I quickly realised that cooperation and a specific kind of relationship with my counterparts played an important role in competency development as well as personality development and had a huge impact on learning achievements. This meant I was no longer "only a teacher" but also a confidant and counsellor. 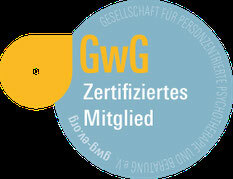 As a result, several years ago I came across the person-centred counselling approach and after some general further education in this area I completed a three-year advanced vocational training in "person-centred counselling" at the "GwG Association for client-centred therapy and client-centred counselling". Since then I have worked with clients who have to deal with immediate crises and need support during difficult times. In general, I care about being able to work equally as a translator, tutor and counsellor because these professions complement each other perfectly and in my opinion balance each other out. Teaching has accompanied me since my school days and has always filled me with enthusiasm and the person-centred counselling approach only adds to that. Feel free to read my article on the topic "learner-centred teaching", which was published in the professional journal of the GwG Association, in the "references" section. My work as a translator on the other hand gives me the opportunity to work with language both creatively and practically, and in addition to that I can offer counselling sessions in English. What matters most for me in everything I do, is to have direct and honest contact with people. I've been working and living in Cologne for six years now. If you are interested in a more detailed account of my professional life, feel free to download my CV.